Today I released Part 5 of the Mixing Drums video series I’m doing for my VIP members. In this video we focus on mixing snare drum. One thing that’s been really interesting about this series is that this approach to mixing drums is just ONE approach. In fact, it’s an approach I’ve never really done before. I used it on my latest album, and I loved the results. But it’s certainly not the ONLY approach to mixing drums. In fact, you may find that this approach doesn’t work on the project you’re working on right now in your studio. But the real value of these videos is seeing the CREATIVE side of mixing. 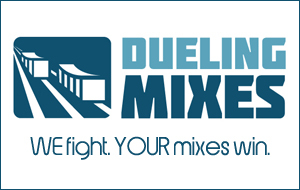 Mixing is just as artistic as playing guitar or singing a vocal. You make creative decisions in hopes of enhancing the music and taking it to its full potential. For example, on my latest album I went for a very compressed, organic drum tone. But I did it in a specific way to make sure I didn’t kill the dynamics of the drums. As you know, heavy compression can sound really cool, but it can also squash the life of a drum kit. I came across a fun way to get the best of both worlds, and it’s NOT by using parallel compression. It’s actually a bit cooler. Today I share Part 5 of a 7-part series on mixing drums. And don’t forget, sometimes it’s okay to do things the “wrong” way…as long as you like the way it sounds.